This post was originally published on July 19, 2010. It was substantially revised and re-posted on September 16, 2015. If kids can be Brooklyn and River, why not this name? 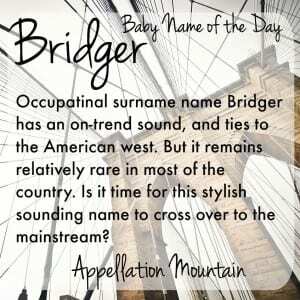 Thanks to Urban Angel for suggesting Bridger as our Baby Name of the Day. 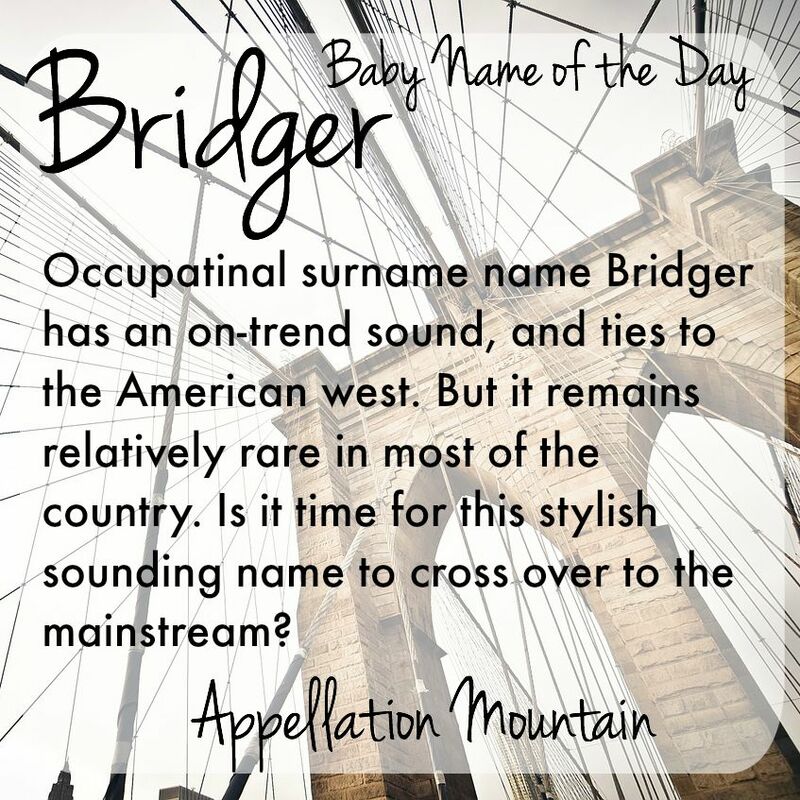 Bridger is part-place name, part-occupational name, and all surname, too. Once upon a time, Bridger – just like Bridge or Bridges – referred to a person who lived near a bridge or earned his living as a bridge keeper, often acting as a toll collector in the days before EZPass. Tolls made bridges big business throughout much of history. 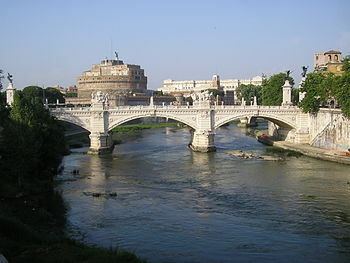 One of the oldest surviving bridges dates back to the thirteenth century BC. Visit Argolis, Greece and you can still cross the Arkadiko, just like the ancient chariots once did. The word comes from the Old English brycge, and Brücker is Bridger’s German cousin. 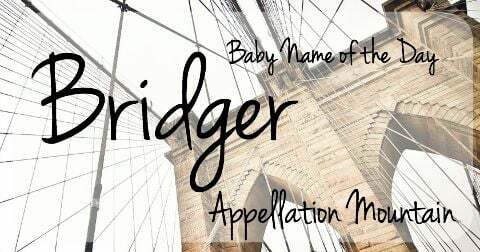 You might guess that Bridger is yet another ‘r’ ending surname name that’s newly fashionable for boys. That’s only part of the reason this name has caught on in recent years. General Joseph Bridger arrived in Virginia back in 1654, and owned acres and acres of property back in the day. His descendants still gather regularly. Virginia-born Jim Bridger became the quite the legend as an explorer, tour guide and all-around mountain man from the 1820s into the 1850s. I’m not sure if he’s related to the famous family, but it seems possible. What we do know is that Bridger went to Missouri as one of William Ashley’s Hundred, young men who set out to work as fur trappers. 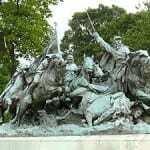 He went on to play a pivotal role in the history of the West, mediating disputes with Native Americans, establishing safer and shorter routes and founding a trading post of his own. Jim was hearty – he walked the length of the Rockies – and sharp, learning several languages. By the time he died in 1881, he was known not only for his trailblazing, but for his telling of tall tales. There was a fort in Wyoming. It’s now gone, but the surrounding the surrounding town, still called Fort Bridger, remains. There’s a city in Montana, as well as a mountain. He’s become something of a legend. A fictional version of Jim appeared in a 1961 episode of NBC’s Western Wagon Train. Bridger has dipped in and out of the US Top 1000 since 1999, and ranked #986 in 2014. But those numbers are deceptive. In Utah, Idaho, Wyoming, and Montana, the name has cracked the Top 100. The name currently ranks #62 in Wyoming in 2014, #87 in Montana. In other words? 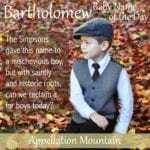 Most of the 200-some newborn boys given the name were born in the American West. It’s quite rare everywhere else. And yet, Bridger has potential. Thanks to that great Americana backstory, the name feels rugged and self-reliant. Along with names like Archer, it could be part of the next wave of ‘r’ ending names for boys. It’s less polished and preppy than Parker or Carter, but I think that probably adds to the name’s appeal. If you’re after something that feels distinctive and capable, Bridger belongs on your short list. What do you think of Bridger? Do you think it could catch on? Are any of you commenters from the west???? Naming is so fun for precisely this reason–that it has so many facets and unexpected twists and turns. I’m a Westerner, through and through, and Bridger is so common around here that it is mind-boggling that there are people who haven’t met anyone by that name. It is definitely cowboy cool more than mountain man rugged. Maybe the “dg” sound is more popular in the west than east? Dodge is gaining in popularity (maybe from the George Clooney movie, “Leatherheads”? ), Bridger is already uber-popular, Bridget is making an appearance more often. My kids pointed out that one of the Avatar characters is “Rodge” (not sure how it is really spelled, but that is the sound) so I wouldn’t be totally surprised if variants of Rodger started making an appearance. Is this happening only around here? Ledger is starting to pop up around here. There’s another name with the same sound. Evokes someone who fosters cooperation between people. Could be a way to honor a Bridget/Brigitte. That’s a really nice point, Julie. I think Bridger/Bridget is one of those boy/girl equivalents Nameberry posted about a while back – unlike Charlotte/Charles, they’re not names that share the same origins. But they are similar in sound, and can be thought of as feminine and masculine versions of each other. And Bridget? She’s quite fashionable now, I think – at least I’ve met a few, and I see her on message boards … I haven’t look at how she is trending. I forgot about Bridget. My daughter met a girl at the museum and the girl said “My name is Bridget” and my daughter was like “Bridger?! ?” because she’d never heard Bridget before, but she knew a Bridger. That would be a minus point for me – that it sounds so similar to a more well-known girl’s name. Argh. I’m tired of surnames as first names. My own family name- Cannon- has been ruined for me to use in the top spot b/c I feel like it’s too trendy now. I think surnames should be reserved for people who actually have the name in their family. I know, I know. I sound like a grinch! There is something vaguely inauthentic about choosing just any surname, rather than one with personal meaning. And it can lead to sibsets that sound like law firms: Landon, Preston and Bennett LLC. 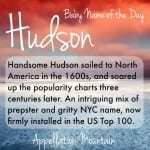 And yet, I’m always surprised to realize how very many popular names started out as surnames – we just don’t recognize them as such because the given name has become so common. I like it; it has a nice history and sound, plus it’s one of those occupation surnames that’s on the rise rather than overused. I’m intrigued to hear that Miller is growing in use. That’s a family name for me that would be an interesting choice in the top or middle spot. I’d not heard this one until last fall when a Bridger joined my daughter’s preschool class. I immediately came home and looked it up online – though I never did ask the parents what inspired their son’s name. It’s not a name I’d use myself – the literal association to bridge keeping seems too unusual – but seeing it on a cute 4-5 year old did give me a favorable impression of the name. And, of course, there was a Mr Bridger in that classic English film The Italian Job. I don’t remember that! I’m adding it to my Netflix queue – as soon as I catch up on Season 1 of Leverage, which I’m enjoying too much. Hmmm, not my thing. It kind of brings to mind badgers. I guess that still is in keeping with the rustic ‘mountain man’ stuff. This one is not for me, though – pass. Thanks for making Bridger NOTD! It is funny how it ranks, UrbanAngel – it’s actually a handful of states where Bridger is VERY popular throwing off the rest of the curve. I really don’t like this one. Then again, I dislike most -er names.